The never ending saga and controversy surrounding Sri Lanka Cricket has kicked off yet again. 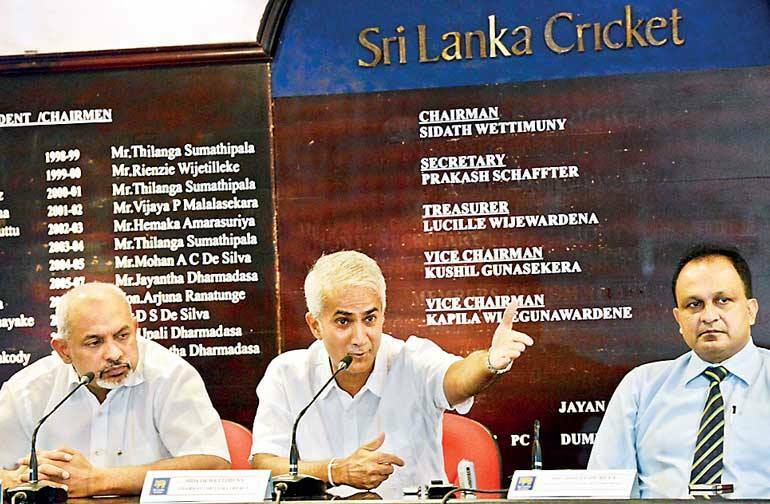 This time whilst the current test match is been played between Sri Lanka and the West Indies at the P. Sara Stadium, the Interim Committee of Sri Lanka Cricket headed by Chairman Sidath Wettimuny, Secretary Prakash Schaffter and SLC’s CEO Ashley De Silva seem to be playing a different ball game altogether by themselves. This is where the disclosing of sensitive and confidential sponsorship detailed files have been handed over to a third party named Anura De Alwis, without the consent and prior approval of the entire Interim Committee. 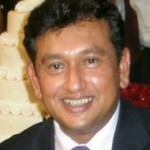 Incidentally De Alwis is neither a Member of the Interim or Sponsorship Committees or an employee of Sri Lanka Cricket. It is recorded that De Alwis frequently bids for open tenders put out by SLC and had failed recently in a bid to secure the sponsorship rights for a digital recording contract.Incidentally Anura De Alwis is the brother of Nalin De Alwis the former Performance Digital Analyst of SLC. Email correspondence from within Sri Lanka Cricket Board Head Quarters has now surfaced revealing that files containing private and confidential sponsorship agreements and sensitive information now lay in the hands of Anura De Alwis. The email correspondence of both Chairman Wettimuny and Secretary Scaffter even go on to give their blessings further should De Alwis request for any Sponsorship files from the Marketing Division in the future. In what is now viewed as blatant expose of sensitive documents, other Interim Committee and Members and Sri Lanka Cricket officials have now gone on to express their displeasure. This is as IC Chairman Wettimuny and Secretary Prakash Schaffter along with the CEO of SLC Ashley De Silva seem have designed the boundaries of the cricket abode’s playing field and play the games to their own rules. It is a mystery to most other IC and SLC Members as to why these crucial documents were given to Anura De Alwis in the first place that is bound to see the wrath of the said sponsors whose files have now leaked. Moreover it is the confidentiality clauses and disclosure agreements that now has been tampered with. The Secretary of the Marketing Division Gayathri Wickramasinghe had frantically written to the CEO of SLC Ashley De Silva, complaining that Anura De Alwis had taken away crucial sponsorship files pertaining to MAS, Red Bull and Agile. However he had returned the MAS sponsorship file just prior to a meeting that the clothing sponsor had with the Sponsorship Committee of SLC . At the time of writing the two other files that of Red Bull and Agile still remain in the possession De Alwis. Incidentally the Marketing Secretary Wickramasinghe’s email to the CEO SLC Ashley De Silva states that they were released on his verbal request and that she would want official intimation in advance if she is to release files and documents of this nature in the future. She had then sought the CEO’s assistance to retrieve the said Red Bull and Agile files from De Alwis which she handed over to De Alwis on the verbal instructions of the CEO. The Marketing Secretary Wickramasinghe’s email also stated “I was also informed that Mr.De Alwis was a bidders representative for the Digital Archive Tender some time ago which Agile contract was awarded. Now that he has the file regarding this tender he has every possibility of sharing sensitive information with the competitor of Agile”. When Prakash Schaffter was contacted he said that he sees nothing wrong in the files being handed to a third party if prior consent is given. However what Schaffter failed to inform this writer is that other Members of the Interim Committee or Sri Lanka Cricket were not privy to this taking place. Subsequently officials attending a meeting between SLC and MAS found it rather uncomfortable to sit through with a third party in Anura De Alwis in attendance. Schaffter when asked about this said “there is nothing wrong as long as a third party is invited for such meetings”. MAS, Red Bull and Agile officials could not be contacted for a comment at the time of going to print. Now as things stand, the new Minister of Sport Dayasiri Jayasekara’s immediate intervention is needed the most as it is important to scrutinize and investigate if CEO Ashley De Silva has followed protocol in this instance. The norm is for the CEO of SLC to adhere to what the Interim Committee advises collectively rather than heeding to the whims and fancies of individuals of the Interim Committee even though it may be the Chairman or the Secretary, especially pertaining to sensitive details such as this. It could be easily construed now that these three individuals have teamed up to leak out crucial information pertaining to the current sponsors and their contractual agreements to other third parties mainly to their competitors. Over to you Mr. Minister Dayasiri Jayasekara and it is hoped that you would do the right thing in this instance. The trail of leaked emails is found below. This is to bring to your kind notice that Mr. Anura De Alwis has been requesting me for files & documents belong to Marketing Division. As per your verbal request I have released the MAS & Red Bull files to him yesterday. I got he MAS file back prior to the meeting yesterday but not the Redbull File. Yesterday he came and requested the Agile file from and today he wanted to know the procedure of calling for Tenders and afterwards procedures. Sir, as you are aware that neither this person is an Interim Committee member nor a sponsorship committee member of Sri Lanka Cricket. And as such we are sharing our sensitive information and highly confidential documents with a third party. Due to this I am in a very uneasy position although I am carrying out your verbal instructions. Since he is a total outsider, I could be blamed for my actions. I was also informed that Mr. De Alwis was a bidders representative for the Digital Archive Tender sometime ago which Agile contract was awarded. Now that he has the file regarding this tender he has every possibility of sharing sensitive information with the competitor of Agile. Being the only employee of the Marketing division currently, all these files and documents are under my custody. Therefore I cannot release anymore documents, files neither SLC procedures to any third party without a written instructions from you and the Secretary of the Interim Committee. I kindly request you to inform Mr. De Alwis to hand over the Red Bull and Agile files back to the marketing division. I am copying this mail to the Chairman IC, Secretary IC and Mr. Nuski Mohamed who are IC members belonging to the Sponsorship Committee. I am sending this mail in order to protect the interests of SLC & the Marketing Division. It is proposed not to release any documents to outsiders without the prior approval from the undersigned or the IC in future. Hi Ashley, I wanted Anura to help us, specially in the absence of Vajira, to support you in the area of marketing and sponsorship, obviously on a honorary basis. Pls then go ahead and release any reqd files. Kindly get sign offs when handing over or accepting files. Pls table a paper at next Ic for ratification. In my view I cannot take responsibility for the release of any files to outsiders unless IC & Sponsorship Committee approval is obtained for very good and substantiated reasons. I also note with concern that this person is involved with the Agile tender and this makes matters worse. Once again I’m sorry I cannot to concede to your request for release of any documents/files. Hope you understand my stance. All Fallow Lands To Be Cultivated! Looks like our ‘businessman’ administrators are bringing their loose business morals and practices to the game of cricket! Why not; When the business minded cricket idol Captain KuCoola gave the start by appointing his brother to the top post at the Ports Ministry why should the others in the gentlemens gamely game also not make a few fast bucks. Let the election be held early, go hell play the round-robin(g)! Will there be no end to the skullduggery associated with SLC? The Goose That lays The Golden Egg is slowly being choked to death by the parasites that inveigle their way into SLC. Now we hear that The Minister of Ports (not SPORTS!) is trying to get himself elected as the head honcho! One can only imagine the disaster that will befall SLC should this happen! Come on Dayasiri – here’s a chance to redeem yourself!! Preposterous – this Anura De Alwis being tolerated at internal meetings. No questions asked! Shaffter has made some idiotic statements. 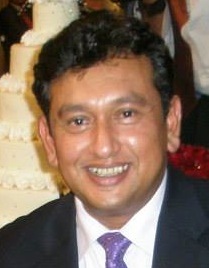 Ashley has shown what a puppet he is and Wettimuny is living the Yahapalanaya dream. Everything is tickety boo as far as they are concerned. Minister, please make these guys accountable. While you are at it, get this Anura De Alwis investigated. just i though there will be no more leaked emails after NR gone. so why any party involve in this conversation leak this emails with what motive? isn’t that the real question ?